Care-ousel Automated Medication Dispenser Improves Compliance - Manrex Ltd. The only answer for those who can’t remember when to take their pills! 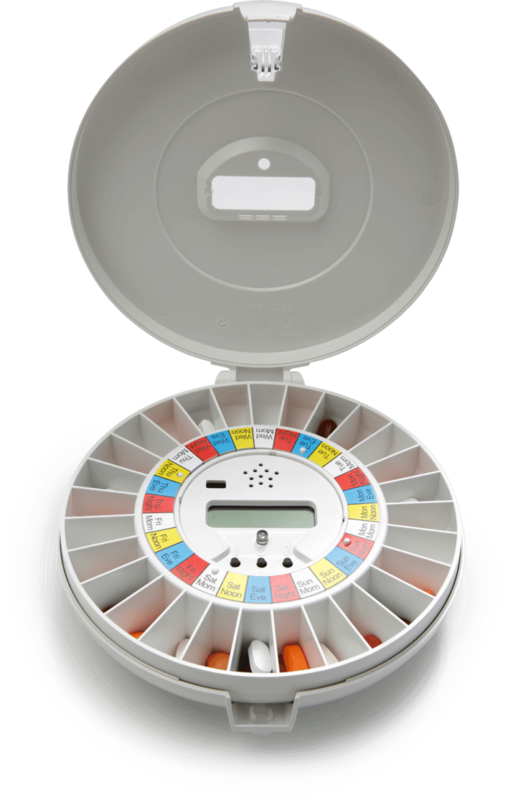 The Care-ousel is a fully automated, alarmed compliance device designed to help patients that can’t remember to access their compliance packs. 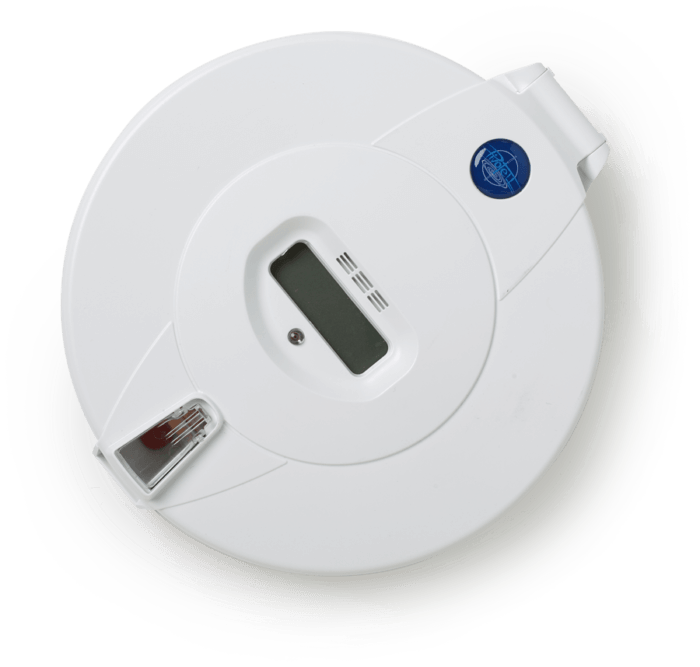 Featuring a programmable alarm system coupled with an audible ring tone and flashing red light, the Care-ousel alerts the user, both with sound and visually that it is time to take their meds. 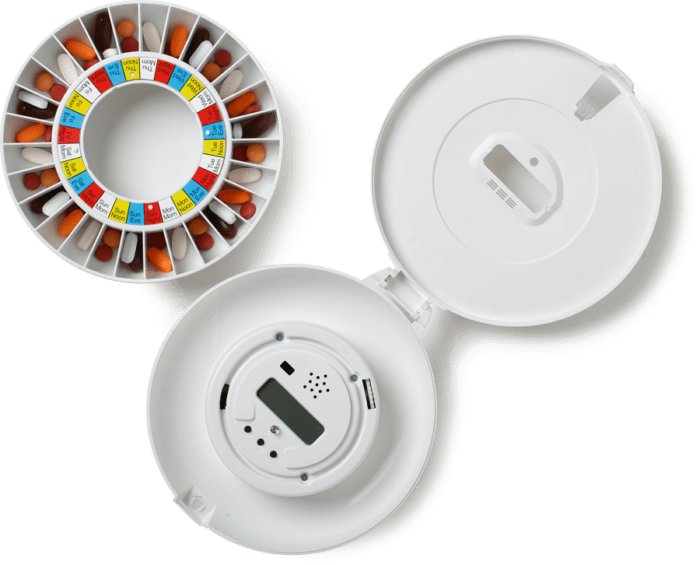 At the right time, the medications for that time rotate to the dispensing point, the machine rings and flashes and the patient simply tips it over to release the pills. Only the pills for that time can be released and if they are not taken, a message can be sent to the pharmacy or a care giver alerting them to the fact the client has not taken their pills. Care-ousel provides the ultimate in compliance reminders and medication control for seniors with early forms of dementia or short term memory loss.